Last month, The Search for Piety and Obedience introduced readers to a forthcoming book of Brethren in Christ biographies, to be published by the Brethren in Christ Historical Society and released in October 2014. The first entry in the series — an interview with editor E. Morris Sider — appeared on the blog last week. The second entry included an interview with Beth Mark, author of the biography of her parents, Paul and Lela (Swalm) Hostetler. Today’s entry is an interview with Annaruth (Sider) Osborne, who has written a biography of her brother and sister-in-law, Harvey and Erma (Heise) Sider. After the jump: An interview with author Annaruth Osborne, whose biography of her brother Harvey and sister-in-law Erma Sider will appear in an edited collection later this year. Annaruth Osborne was, before retirement, a kindergarten and instrumental music teacher at public schools in Ontario, Canada. 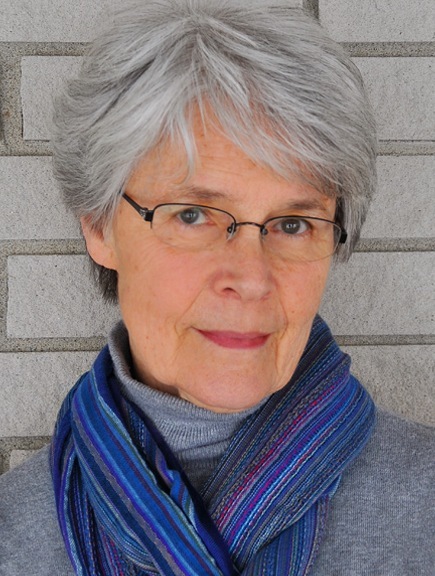 She has previously written a number of articles on Brethren in Christ history, including a biography of Canadian Brethren in Christ sisters Myrtle and Ruth Steckley. The Search for Piety and Obedience (SPO): What was the best or most exciting part of writing this biography? Annaruth Osborne (AO): As my research progressed, I was captivated by the fervor of my subjects’ era. During the latter part of the last century, a contagious missionary spirit induced frequent intercessory prayer and generous gifts of money and talent. Some dauntlessly offered lives for service. The resulting church growth was inspirational. Equally inspiring and instructive was the sacrificial service offered by church leaders. AO: For more than fifty years, my subjects wrote extensively. Their writing appeared in church periodicals, annual conference reports, promotional bulletins, and books. Their busy lives were crammed full of captivating incidents, many of which they shared in their writing. Also, engaging interviews with their colleagues and family increased my cache of research notes. Hence, selecting and condensing was a challenge: some splendid stories were omitted to fit space requirements. AO: From childhood I have felt a healthy affection and respect for my brother, Harvey. I considered the invitation to write his biography an honour. Our shared heritage shed understanding on my subjects’ sincerity, purpose, and response to the various venues where God led. I especially enjoyed the hours spent interviewing Harvey and Erma and discovering how diverse and fruitful their lives and ministries have been. SPO: Why are the subjects of your biography important to Brethren in Christ history? AO: Harvey and Erma are important to Brethren in Christ history for their leadership during a time when the church struggled to find its voice in a changing world. In India, for example, the indigenous church replaced the mission; in North America, under Harvey’s moderatorship, church structure and doctrine adjusted, after intense discussion, to accommodate church growth and changing patterns of thought. AO: I hope that readers will feel a suitable response to the example set by church leaders of the era, and that they will appreciate the struggles, sacrifices, and loyalty which enriched the community of the brotherhood.